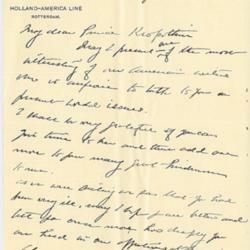 McCreary writes a letter of introduction for Addams and Breckinridge. Newton writes Addams, Abbott, and Breckinridge a letter of introduction. Addams sends a letter of introduction for Mary Heaton Vorse to Kropotkin.